Your team has the potential to be your greatest asset, or greatest liability. Are you leading your team to relate and perform at a high level? Are you bringing out the best in each individual as well as the group? Objective feedback and an outside perspective. Targeted team exercises and coaching to help build your team’s unity and effectiveness. Strategic planning is available for leadership teams. 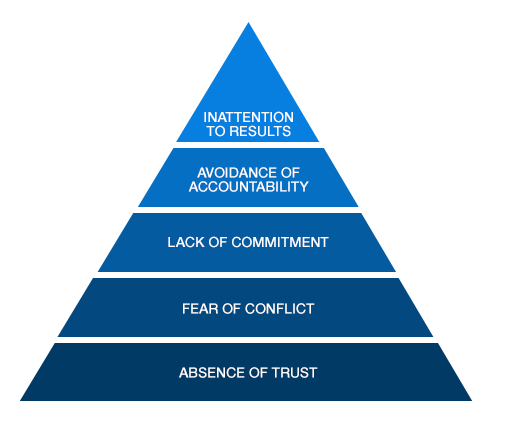 In team development, I use a process based around Patrick Lencioni’s 5 Dysfunctions of a Team. Engaging and practical, these tools will enable your team to understand one another and work together for greater results.